How I wish these chickens could tell us the stories they have! 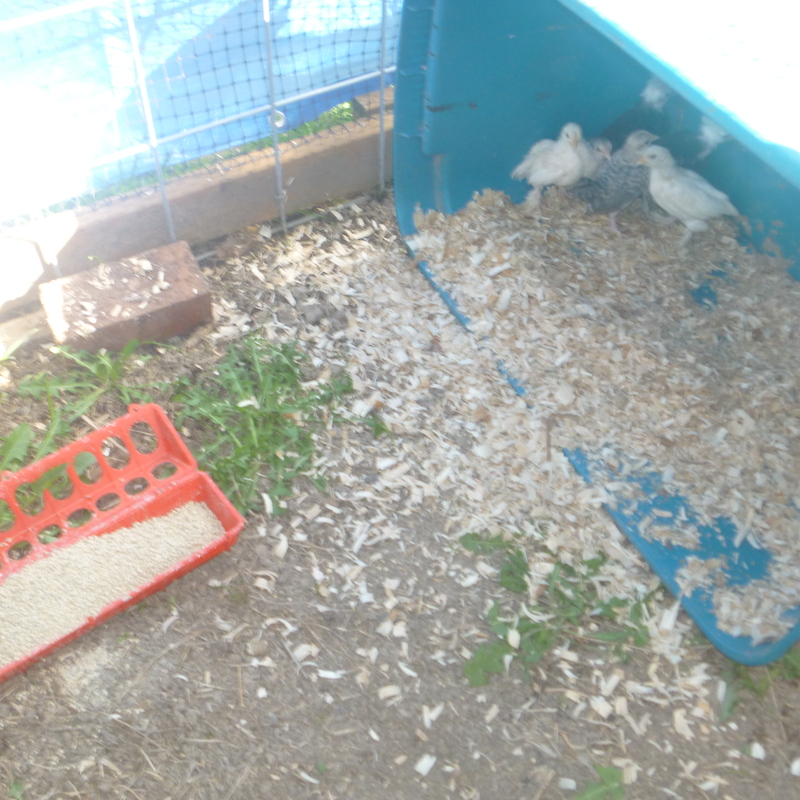 We were trying to catch a month old silkie chick when Lacey (Great Pyrenees) caught on. She knew she could get beneath those rabbit cages much easier than I could. So she caught the chick for me – or so I thought. But apparently she thought this was a game. She carried it carefully in her mouth as she jumped through the chicken door and out into the pasture, this little one peeping as it is being carried. Bill finally got Lacey’s attention and made her understand that it was our chick, NOT hers. She put it down and the chick is fine, though it certainly must be telling its roommates about that ride. Life even on a mini farm is simply not boring. (no photo — to busy trying to catch chick without it getting hurt). 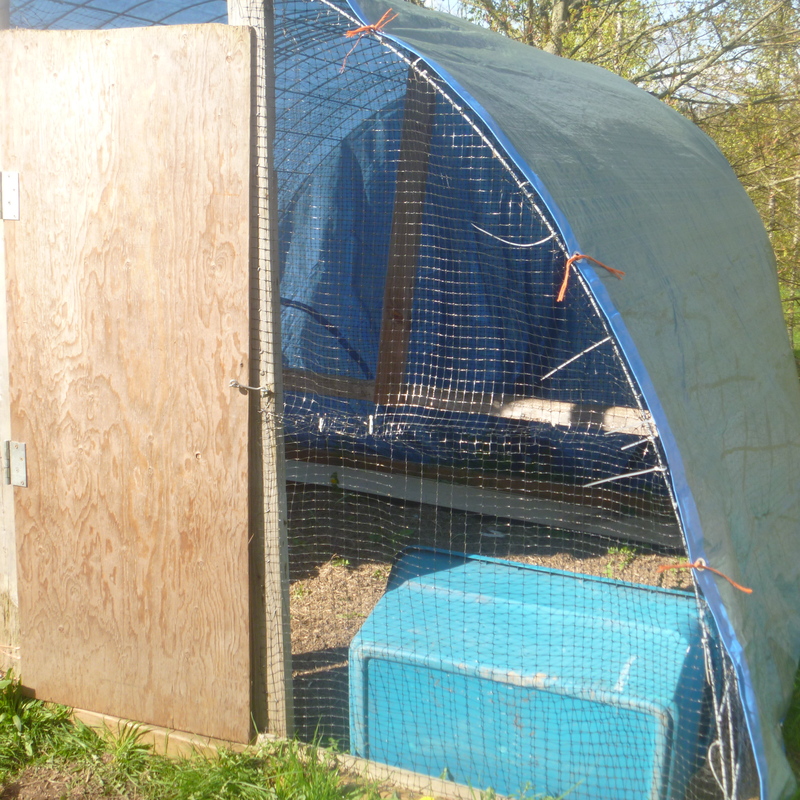 Now the standard size chicks are in a chicken tractor in the chicken house and the bantams are in a netting enclosure over by the greenhouse. Here they are too afraid of all this much space to move. But don’t let them fool you, they will soon be looking for escape routes. Life on a mini farm is never boring. Many times, there is too much excitement and I just want to go sew a few seams, or knit a few stitches, or just take a nap. The three bags full of wool are now all washed and drying, the alpaca wool is ready to card and I’m in search of free time. So I’m off to feed everyone, and then I get to knit for a short time.